Takes the ordinary to extraordinary! This seasoning for grilled meat is fantastic on chicken. After enjoying amazing Italian rotisserie chicken, this is my attempt to replicate it. Che buono! Keep a supply on hand! The rotisserie chickens for sale around our neighborhood in Italy are really tasty. The skin is crispy, the meat is tender and juicy. But the way those chickens are seasoned is what we really like. This seasoning mix is very close to what they use. There's one more ingredient I need to get my hands on -- juniper berries. Once I do that, I'll update the recipe. 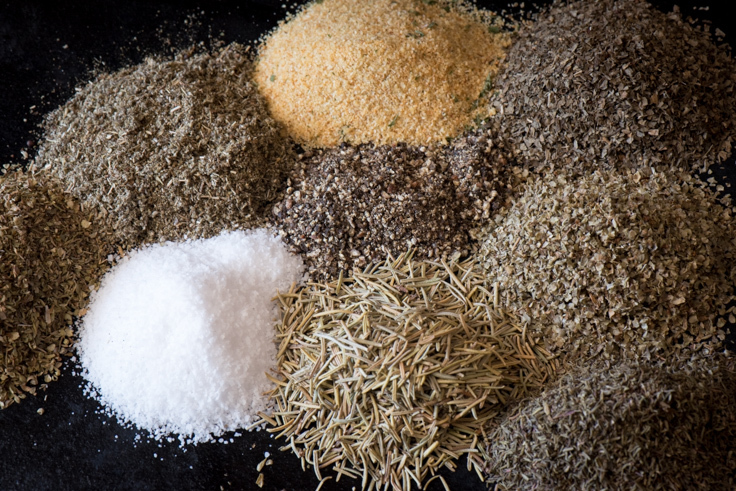 For now, though, this seasoning mix is doing the trick on our grilled chicken! Add all ingredients and store in an air tight container. Sprinkle liberally on chicken or steak before grilling.